Georgia Cassimatis is a writer and author. She has worked as an entertainment journalist, magazine editor and lifestyle reporter between Sydney and Los Angeles. 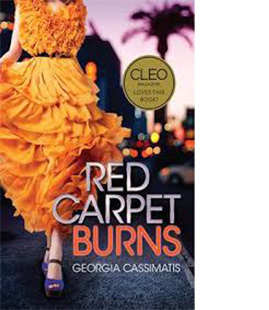 Red Carpet Burns is Georgia’s story about living a whole lot of life and experiencing a whole lot of love during her adventurous time in the world’s most glamorous entertainment mecca, Los Angeles. Georgia Cassimatis © 2019. All Rights Reserved.